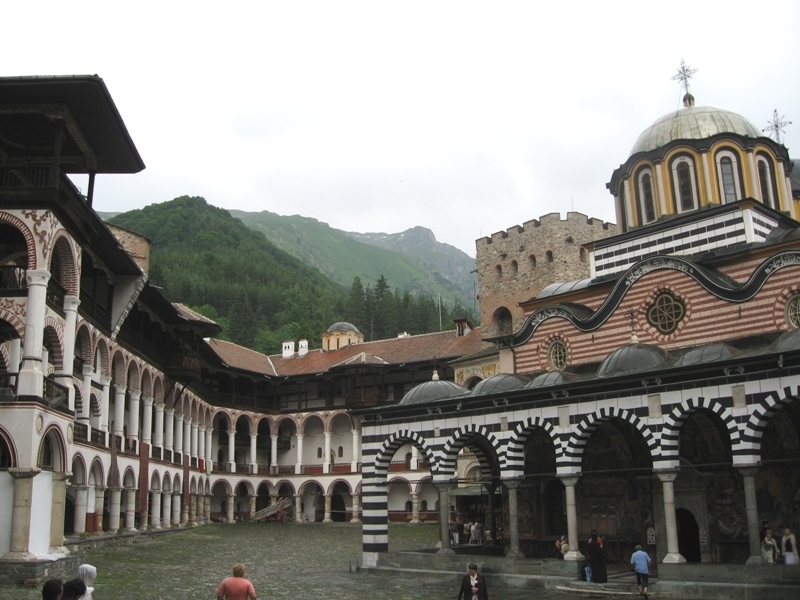 Rila Monastery is the most popular tourist site among all monasteries in Bulgaria. 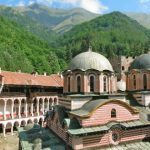 A hermit, John of Rila, founded the monastery in the 10th century, during the reign of the Bulgarian Tzar Peter (927 – 968). 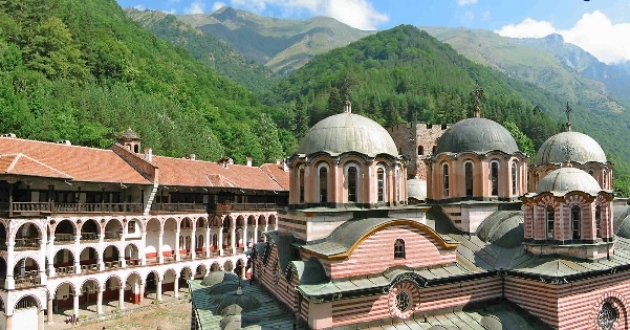 St John of Rila, whose relics are exhibited for pilgrims in the main church, in fact lived in a cave about half-a-hour walk away from the present-day monastery complex. His scholars, who came to the place to be taught by him, built the monastery itself. The present-day look of the monastery dates back to the 19th century. The residential buildings, which form a closed irregular quadrangle, started in 1816. In the middle of the inner courtyard rises the oldest building of the complex – an impressive stone tower, built by the local feudal Sebastocrator Hrelyu in 1334-1335. A small church, which is just a few years younger (1343) stands next to the tower. In more recent times, a belfry was added to the tower (1844). Around that time, the monastery’s main church, “The Nativity of the Virgin” was built as well. One of the biggest valuables of the church is its wooden iconostasis with azure fretwork. The wall paintings, finished in 1846, were made by many artists, but it was only the famous Zahari Zograf (whose work can be still seen quite a few monasteries nowadays) who signed below his works. 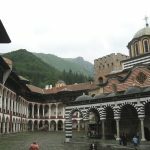 Besides, the monastery treasures a number of valuable icons painted in the 14th– 19th centuries. Once in the complex, it is worth visiting the monastery’s museum, which hosts a unique work of art, namely the Rafael’s Cross. The cross is made of a whole piece of wood (81 cm x 43 cm) and its named after his creator. The monk used fine chisels, small knives and magnifying lens to carve 104 religious scenes and 650 small figures into the cross. The cross was finished in 1802 after the monk worked on it for no less than 12 years, losing his sight upon completion.